Why do DSLRs need to have their focus calibrated? When shooting infrared with a DSLR, lenses can have a focus shift in the infrared range, and not all lenses will be accurate. The refractive index of glass, or the amount the glass will bend light, depends on the wavelength of the light, so when you shoot in infrared each element in the lens is now bending light a little differently, causing a focus shift compared to visible light. Why is this important? 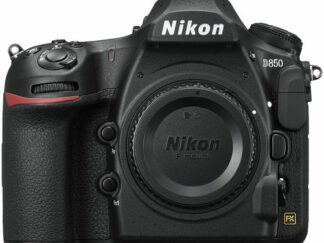 DSLRs use a phase detect autofocus system. The focusing is not done by the main sensor, but instead they use a second sensor in front of the shutter for focusing. Even in a regular camera, if these two are not calibrated to the same focus point there can be focus problems. Lets take a look at how this is done in the camera. This is how a DSLR generally looks. 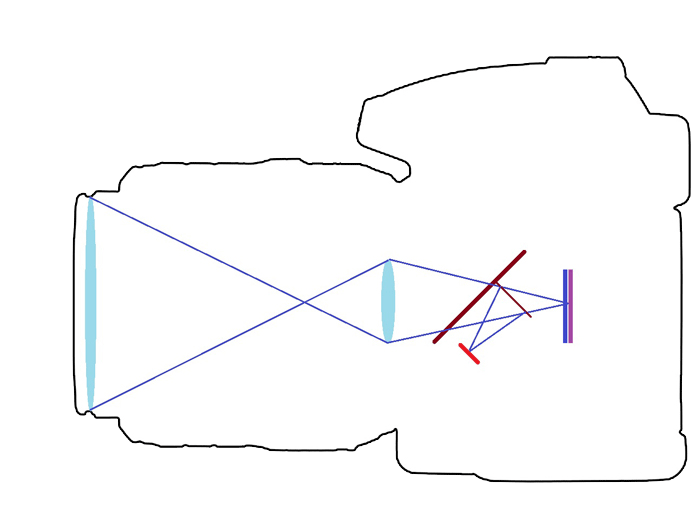 Light is focused through the lens, where most of the light is reflected up to the viewfinder by the main mirror. While this mirror is down and the shutter is closed, light cannot get to the sensor, so to focus the camera uses a second, phase detect system. The center of the mirror is translucent, and lets some light pass to a second mirror, which reflects light down towards the AF phase detect sensor, which determines how focused the light is. 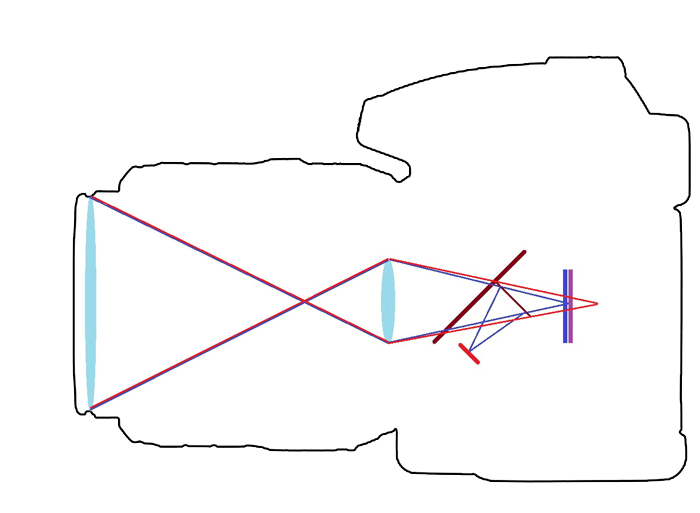 The optics and lightpaths are very simplified in the illustration above and not accurate, but just demonstrate the focus points. It also ignores how the light also goes to the viewfinder. When focusing visible light, it is critical that the AF sensor and imaging sensor are calibrated properly. If they are, the camera will bring the light to focus on the AF sensor, which would also bring the light to focus on the main sensor when it exposed. This generally works well, although even this can become miscalibrated and cause some issues. With infrared, we introduce a new problem. With the infrared converted camera, the lens focus shift comes into play. 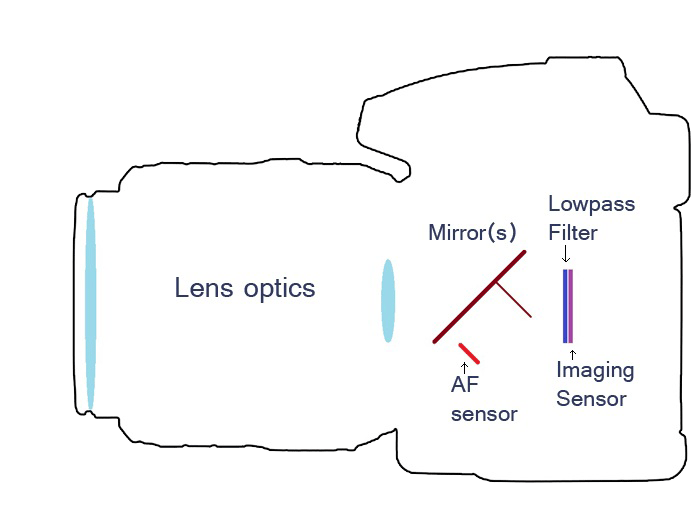 The AF sensor will still focus to visible light, but the infrared light that the imaging sensor sees is focused to a different plane than visible light is. To make the infrared light focus on the imaging sensor, when the sensor filter is replaced it can be compensated in thickness to cause another shift in the focus, which will correct the lens’s focus shift in many cases. No matter how the camera body is calibrated, the adjustment is limited to one compensating focus shift. Lenses have different optical elements and number of elements, so by design they will all have an inherently different focus shift, which will cause some lenses to be inaccurate. We normally calibrate to a lens with an average focus shift. This lets most of the inaccurate lenses have focus points that are fairly close, so stepping up the aperture can bring them in focus. We can also calibrate to your specific lens, but unless you are will primarily use that lens it isn’t recomended, as it can make other lenses focus even worse. If the camera supports focus microadjustments, focus compensation can by dialed in for individual lenses to get them to focus right. The best way to avoid any focus problems is to shoot with a contrast detect autofocus system. Contrast detect autofocus uses the imaging sensor itself to focus, so the image will always focus properly. In an infrared conversion, that means it will focus directly in infrared, making the lens focus shift irrelevant. 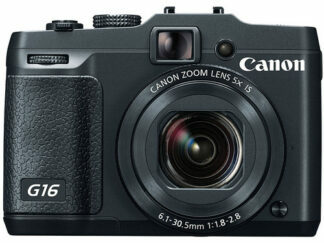 Mirrorless cameras, DSLRs in live view mode, and all point and shoots will have accurate focus in IR for all lenses after conversion because they can focus directly in infrared. When converting DSLRs to full spectrum, we calibrate the camera to focus in visible light. 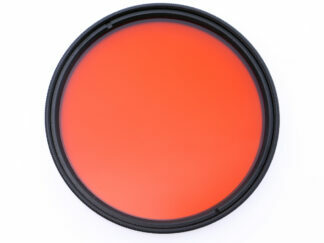 This allows the camera to focus accurately if shooting with an external hotmirror color correcting filter. Because lenses don’t have the infrared focus shift issue in visible light, this lets all the lenses focus accurately just like a normal DSLR, as long as a hotmirror is used. When calibrated this way, even wide angle and macro lenses, which typically do not AF well for infrared, will work normally on the full spectrum camera in the visible light range. We calibrate this way so that the camera can be used just like a normal camera when using our hotmirror filter. When using external filters on a full spectrum conversion, it will require manual focus or live view focus anyway, so the fact that the focus is calibrated for visible light does not affect IR shooting. And of course when shooting with live view and a contrast detect AF, the camera will still be able to focus in infrared properly. I have a HOYA IR filter and Canon 5D II body. Can I shoot IR images with this filter in AF mode of the camera in Live view? A 720 filter can work on an unconverted camera depending on the model, but will require long exposure times sometimes in the 30 second range. Exposure and focus will usually need to be set by trial and error.